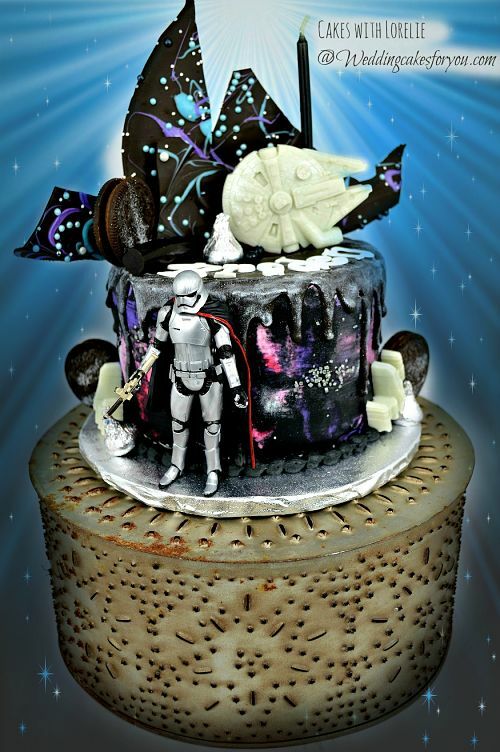 Star Wars cakes are awesome! These two designs are easy to make and fun for any Star Wars fan. I made these for my grandsons who LOVE Kylo Ren and Captain Phasma. I'm sharing two designs to help get your creative juices flowing. Use elements of these or come up with an entirely new design of your own. There are so many characters from the movies that you can incorporate or copy the ones I made if you like. Use your favorite recipe combinations. 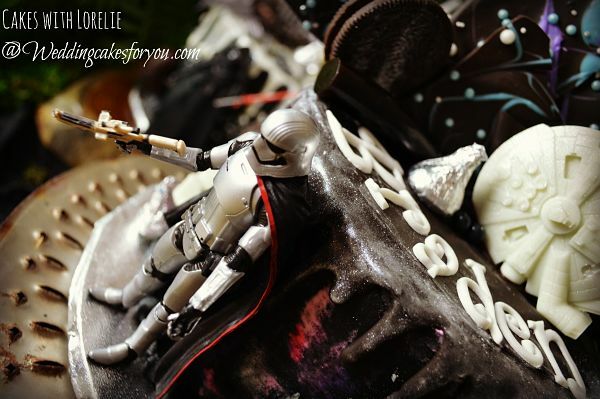 I used my chocolate buttermilk cake for the Captain Phasma cake and filled it with Oreo cookie buttercream filling. 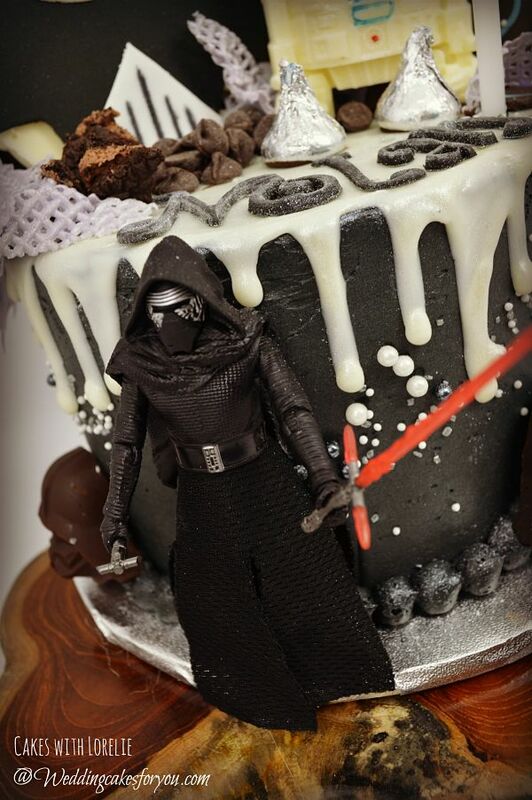 The Kylo Ren cake was made with my tried and true vanilla cake then filled with lemon curd mixed with buttercream. 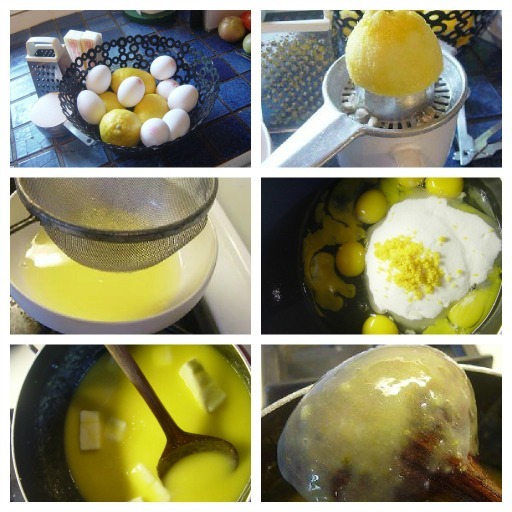 All the links to the recipes are at the bottom of this page. This is the set that I bought and love. You can use them to make chocolates like I did in the video, use them to bake or to make ice cubes. Click the image to learn more. Plan ahead and make all your chocolate pieces first, have all your buttercream colors ready to go and melted chocolate prepared. Any gumpaste decorations should also be made a day ahead. 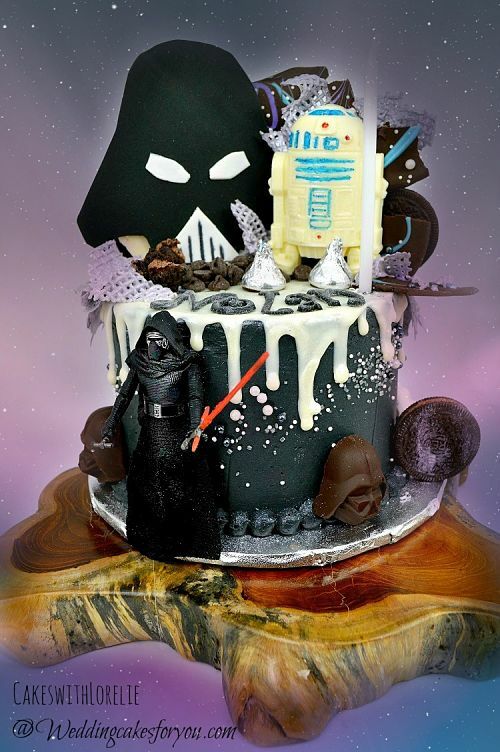 In the video you will see how to make these awesome cakes dripping with chocolate and loaded with Oreo cookies, Hershey's Kisses, chocolate Star Wars molded candies, sugar sprinkles and dragees. My grandchildren were the inspiration for these. 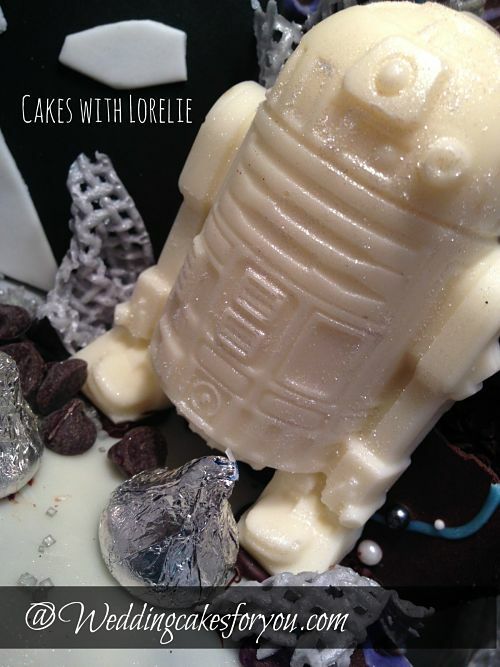 I wanted to make something that would make them say "Awesome we have the beat grandma EVER" and it worked :-) As soon as I realized I was going to make Star Wars cakes I bought a really nice set of silicone molds on Amazon. I'm so glad I got these. They make life a lot easier. Since I am not a big fan of making fondant or gumpaste figures, this replaces the long hours that it would have taken to create by hand a molded piece. They look fantastic and taste delicious too.